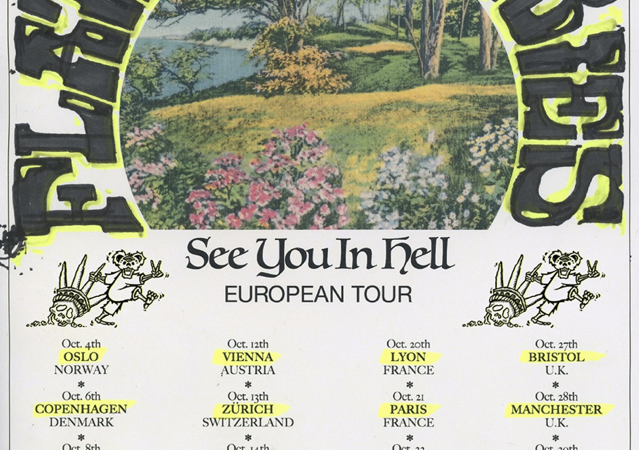 FLATBUSH ZOMBIES ANNOUNCE ‘SEE YOU IN HELL’ EUROPEAN TOUR THROUGHOUT OCTOBER. THEIR CRITICALLY ACCLAIMED NEW ALBUM ‘VACATION IN HELL’ IS OUT NOW. Following their genre-transcending, future forward debut 3001: A Laced Odyssey, FLATBUSH ZOMBIES have returned to cement their position as hip-hop’s most exciting asset. 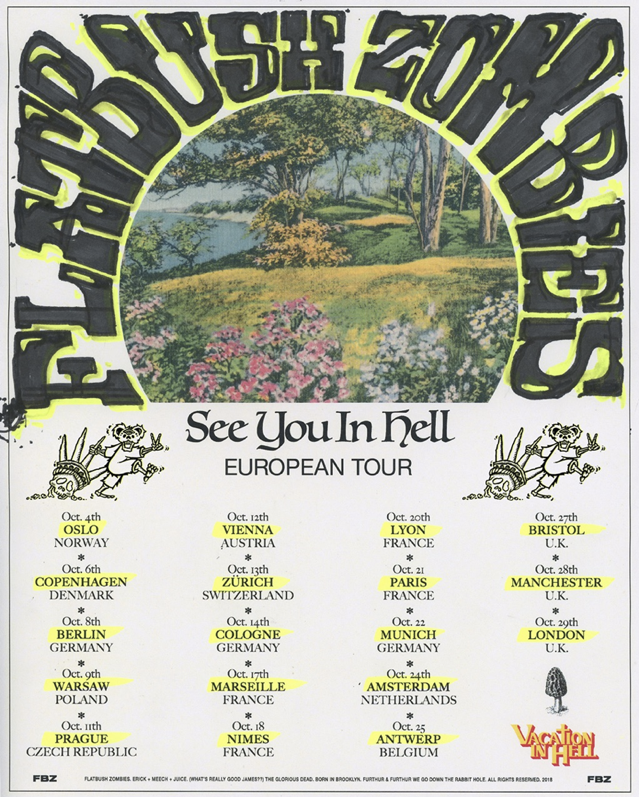 The Brooklyn trio have announced a European headline tour throughout October 2018, tickets on sale here. Meechy Darko, Erik Arc Elliott and Zombie Juice prove themselves with every release; consciously separating themselves as trendsetting, rule-breakers constantly blurring the lines of traditional rap. Linking up with fellow Brooklyn native Joey Bada$$ on ‘Vacation’ and hip-hop legend Jadakiss on ‘Facts’, this project is overflowing with lyrical assaults and provocative tales. Known for their insanely creative visuals, the lead up to ‘Vacation In Hell’ did not disappoint; check out the short film ‘Vacation – The Movie’ featuring some familiar on-screen faces – http://bit.ly/2IveQcp.